Hermione Winters is captain of her cheerleading team, and in tiny Palermo Heights, this doesn't mean what you think it means. At PHHS, the cheerleaders don't cheer for the sports teams; they are the sports team—the pride and joy of a small town. The team's summer training camp is Hermione's last and marks the beginning of the end of...she's not sure what. She does know this season could make her a legend. But during a camp party, someone slips something in her drink. And it all goes black. 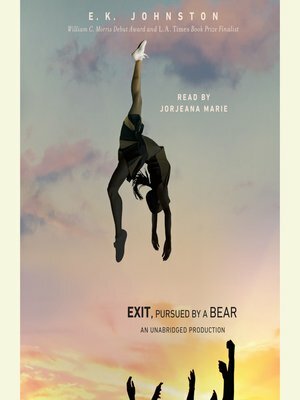 "Exit, Pursued by a Bear is an important new novel comparable with Speak by Laurie Halse Anderson. "—VOYA.